Sadly, the reality of our society is, that the people with the most money, talking in broad demographics now, tend to enjoy the best health, and the people at the bottom of the income ladder, sadly, tend to suffer the worst health, overall. Our obesity and type-2 diabetes epidemics, manifest highest in low-income socioeconomic groups. Smoking rates are higher in low-income groups. Heart disease and reduced life expectancy are a bigger burden in low-income groups than among the wealthier citizens of our lands. Because of this, I have always, since the first day I started Mother Nature’s Diet, offered the basics of the 12 Core Principles for free. Always. It’s been about eight years now, since I started blogging about the Mother Nature’s Diet way of life. In fact I first called it Mother Nature’s Diet because I needed a name for my first blog, to chart my own personal health transformation!! Now of course, I do offer additional products and services that cost money, but the fact remains that the basics are there for free. The difference between my approach and so many others out there, is that they all tend to offer “the secret formula to this” or “the 21 steps to that” or “the 7-part plan for success” all as benefits you get once you pay up and join the program. At Mother Nature’s Diet, I give you the 12 Core Principles for free right up front. So, if you are skint, and you want to get healthy but you can’t afford to blow a bunch of cash doing it, all you need to know is here – 12 Core Principles – for free. That page offers you links through to 12 further pages, where you can read all about the steps you need to take to improve your health. …and we spend that money instead on organic veggies, grass-fed meat and free range eggs. Once you learn how to reallocate your spending, it can be done. 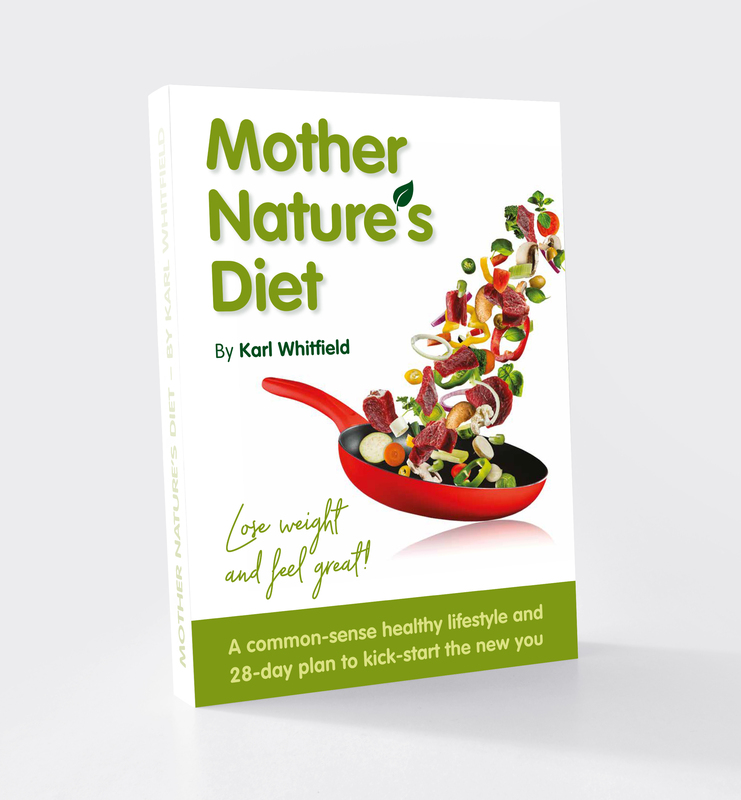 I have recently made some site upgrades for you at www.MotherNaturesDiet.com and there are lots of fabulous free resources available for you. I truly hate these sites you visit and the pages are bloated with ads, you can’t watch or read anything without signing up and being spammed daily, every mouse-move seems to cause another pop-up to appear…it all drives me nuts! We don’t have any of that crap at Mother Nature’s Diet. When we say it’s free, it’s free. No email, no pop-up boxes, no autoplay videos, no sign-up demanded, no catch. Just free stuff for you. Please, share these completely free resources with anyone you know who might need or want the help. You and they have nothing to lose, and only improved health to gain. You can subscribe to this wonderful free newsletter! Or you can subscribe to follow this wonderful MND blog, which has published over 680,000 words over the last eight or nine years, all advice on weight loss, disease prevention and healthy living – for free! That’s about six novels worth of writing, for free! But Karl, you are selling stuff too…right? Now of course, what I can give away for free is the information. No bullsh*t about magic formula or trade secrets of the fitness pros…just common sense healthy living advice. That I can give you for free. But I can’t afford to give away all my time and help too. I mean, if I spent all my time helping everyone for free, how would I feed my own family? This is still my job, my business, and so in order to take the message out to more people, I want to grow the business, to hire more staff, to do more marketing, to reach and help more people. The best way to reach more people is to start with my book! It’s just a few quid, just a few bucks on Amazon Kindle, please get the book now, for you, for a loved one, for a friend or family member, thank you! You can get the information for free, but if you want additional motivation and inspiration and a chance to meet face-to-face and ask questions, then come to a live seminar and you’ll get all that and more. If you read those free pages online explaining the basics of the 12 Core Principles and then you want more, you want the details and the science and long explanations behind those Core Principles, then again, you need to buy the book and get all the details and lots more besides. Or if what you really need is ongoing support and encouragement, a ‘tribe’ of like-minded people to help you stay the course and stick to your new good health practices until they become habit, then you might like to join MND Life! our community subscription, where you’ll get more education, motivation and support every day, to help you along your journey. But the basics are, and always will be, available for free. So there you have it, something for everyone, whatever your budget – and plenty of it is free. I have long believed that healthy living has become far too over-complicated, and we need to keep it simple for those who most need the help. For those who can’t afford the books, the courses and the seminars, please, pass on this post, pass on the links now, and help them to cut through all the noise and get some simple, honest, common-sense based, scientifically sound good health advice. That seems to me like a good way to help out a friend or loved one and get 2019 off to the right start for all of us.